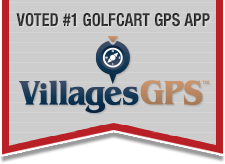 Views: 22,153 Announcement: Golf Cart Expert Help is Here! A Dog's Way Home (2019). Trailer for "Star Wars: The Rise of Skywalker". Advance tickets for "Avengers: Endgame". The Old Man and the Gun. Cold Pursuit. Remake of "In Order of Disappearance"
They Shall Not Grow Old. The Numbers 23rd Oscar Prediction Contest.